I'm Michael! I majored in Mathematics for three years at the University of North Georgia. Then I transferred to Georgia Tech to study Aerospace Engineering, and I'm in my third year there. When I graduate I will be getting degrees in each subject. I really love math, but I know that if a student is not taught correctly, that the subject can be a very painful one to study. I hope to get my students to enjoy learning the subject. I will go through a lot of practice problems until the student understands the different problems thoroughly. And while tutoring, I am very patient, and will re-explain problems as many times, or in as many different ways as necessary. I have often excelled at the math courses that I have taken throughout Middle School, High School, and College. During this period, I have also frequently tutored my fellow classmates in the various subjects. I am able to tutor all high school math subjects, including SAT math, and then many of the core college math courses. I will respond quickly, and am available to tutor 4 days out of the week. I can drive to your home, or meet at other locations. My son says that Michael teaches in a way that is much more understandable than his high school teacher. We feel like the extra supplemental instruction will make a big difference in his next test. Thank you, Michael! Michael worked very well with my daughter in preparing her for her upcoming test. He was very patient. His knowledge is excellent. She really enjoyed her session with him. I knew Michael was going to be a great fit for my son Immediately. They were laughing within 1 minute! Michael knew exactly how to arrive at the trouble spot for my son. He coaxed out of him what he didn't understand. Priceless! Thank You, Michael. Sheila J. My son’s session with Michael went very well. Michael is patient, soft spoken, very knowledgeable and encouraging. He kept my 13 year old engaged and focused and my son was amazed at how quickly the hour flew by. My son came out of the lesson with a smile on his face and better understanding of the material. He really enjoyed working with Michael. We will definitely continue to use Michael in the future. Michael does a great job connecting with our high school aged son. He is well versed in the subject matter, is patient and does a great job explaining and demonstrating how to solve problems. Michael came yesterday to meet with our son, who has ADHD and is struggling in math. Our son not only sat with him for over an hour but actually enjoyed it! Michael’s tone and approach were wonderful; he very easily adapted his style to whatever our son needed at that point. We were very impressed! 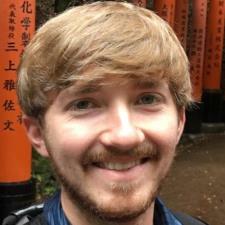 Excellent Tutor who loves math and breaks concepts down very well while connecting with his students! My son had his first session today with Michael and I was very impressed with his well-rounded knowledge and patience with my 8th grader. He was prompt, professional and came prepared to jump in. My son has ADD and struggles with focus. Michael was able to keep him on track while still giving him time to ask questions with challenging areas. In addition to being very strong in Math and science, Michael is very personable. He easily found ways to connect with our student socially, which helped to build trust and allowed my son to relax. We will certainly choose to continue tutoring with Michael from now on.